Photo By Gayle SmithDr. Darrell Wilkes, manager of ABS Beef Supply Systems in Parker, Colo., discussed the importance of documenting cattle to producers at the Nebraska Cattlemen's Classic during the Cattle Feeders and Veterinarian's Day. “They’re black and they’ve had all their shots” is not enough any more for ranchers marketing their calf crop. 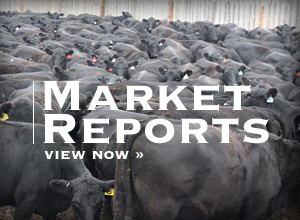 According to Dr. Darrell Wilkes, manager of ABS Beef Supply Systems in Parker, Colo., the cattle market is dictating more documentation. 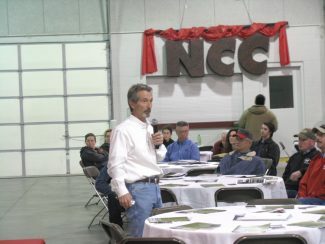 Wilkes spoke to cattle producers, feedlot operators and veterinarians at the Nebraska Classic in Kearney, Neb., during Cattle Feeders and Veterinarian’s Day. 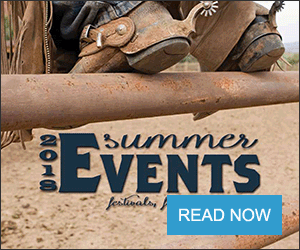 “There are fundamental, irreversible changes occurring in the beef industry,” Wilkes explained. “The cattle market is rationalizing. Some cattle are worth more than others. In the good ‘ole days, all same-class cattle sold for the same price. You might see a $5/cwt spread on calves and a 50 cent/cwt spread on fed cattle. Wilkes added that while the value-added market is headed upward, the commodity market is headed downward. The emergence of branded beef programs, grid marketing (electronic grading), name brand health programs, name-brand genetics, documentation and verification for export programs, and supply chain marketing have changed the way cattle are marketed.